In 2010, Shay Banon created Elasticsearch from the ground up as a distributed, search engine on top of Apache Lucene. Since then, Elastic has seen unprecedented growth with more than 100 million downloads of its products and a user community of 85,000 developers around the world. Shay aims to give users everything they need for ingesting, storing, analyzing and visualizing large amounts of complex data in real-time, including Graph analytics and new unsupervised machine learning capabilities. Datanami: Congratulations on being named a Datanami Person to Watch in 2017! You took some degree of professional and personal risk in creating the Compass projects that proceeded Elasticsearch. What did that teach you, and what advice do you have for young developers? Shay Banon: Compass was my first open source project, and to be honest, I had no idea what I was committing to when I started it. I was pretty naive when it came to the risks or efforts around it. I admit that once the project picked up, I felt responsible for all the users that bet on it, and spent a lot of my free time on it. I did end up working on Compass for 7 years, but always while having a day job, so the main risk I took with it was just having much less personal time. I did gain quite a bit of dev cred by running a successful open source project, which helped my career. Elasticsearch, which followed Compass, involved a higher degree of risk, since I quit my day job, with family and kids. It was a risk, though, where I really liked my chances, mainly thanks to the experience I had with Compass. My advice is simple: risk is not black and white, it is a scale. There is a lot one can do to minimize it, and increase the chances of success as well as gain in the process. Datanami: Elastic has become a contender as a general-purpose distributed system. What has surprised you most about Elastic’s success on the big data stage? With Compass and Elasticsearch, I saw search as a technology capable of solving a wide variety of use cases and many of the problems associated with big data. What surprised me most was how fast Elasticsearch was adopted beyond the typical, limited scope of “search” for complex logging, metrics, security, and analytics use cases. This has been both encouraging and humbling as when adoption happens at this rate, it’s typically a good sign that you’re bringing real value to users. While the cloud has been around us for many years now, it’s finally coming of age. We’ve gone beyond early SaaS applications to new types of applications that consume humongous amounts of data and workloads hosted in the cloud. Today, developers and enterprises can spin up clusters, setup a datastore, and begin building their applications in the cloud. Two years ago, we acquired a company offering a hosted version of Elasticsearch. We call it Elastic Cloud (not to be confused with AWS Elasticsearch Service), and this service creates an out-of-the-box experience for our users to get started in a few clicks with all of our latest features and support. Today, Elastic Cloud runs in AWS, but in the future, it will be available in other clouds like Google, Azure, and IBM. Uniquely, our cloud strategy goes further. The Elastic Cloud is also a product that any enterprise can run on premise and/or be self-managed in a favorite cloud provider. Whether it is a developer building a new app or an enterprise modernizing existing apps, I believe we must be there for our users and give the the choice and flexibility to run Elastic’s products where they want, whether that is on premise, in our cloud, hosted in their cloud, or in a public cloud. Another important area is machine learning. While search is a wonderful way to easily find relevant data or insights within large amount of data, machine learning allows users to automatically understand the behavior of data, detect unforeseen patterns, and proactively alert on anomalies. Last year we acquired a company, Prelert, who developed a generic unsupervised machine learning technology using our products. We’ve now fully integrated Prelert into the Elastic Stack and see an enormous opportunity for our users to deploy machine learning across their use cases to get even more value in their data. I was very close to quitting my professional career as a software engineer to become a professional mountain climber in Peru. 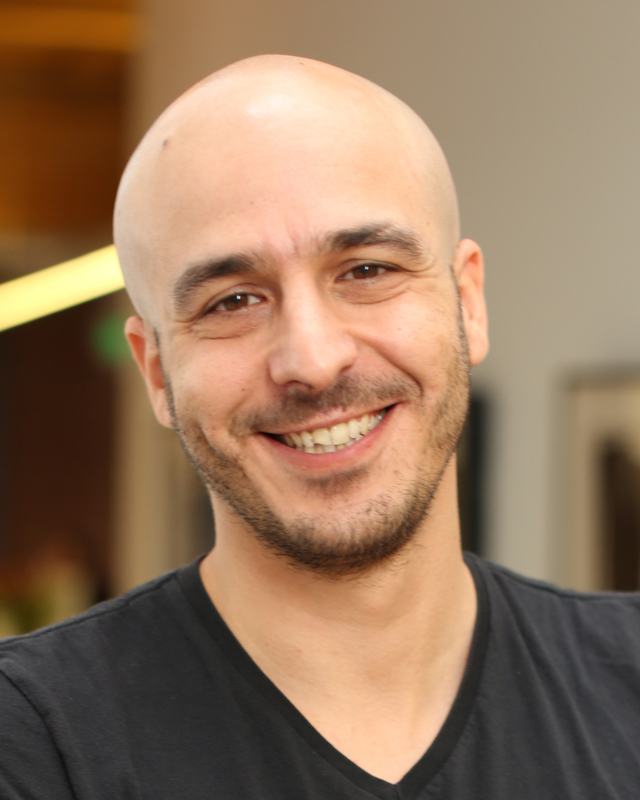 Shay Banon is the Founder and CEO of Elastic, and creator of Elasticsearch.